What happens to you when your need to feel loved by your partner is unmet? Do you withdraw and hope the dust settles soon so you can reconnect with your partner and ‘be ok’? Or do you get angry and frustrated that your partner appears disinterested in resolving the issue while you are fighting for your connection? We are wired to love, be loved and to have a true sense of belonging, especially in our most important relationships. When we feel disconnected from our partner, we experience feelings of loneliness and can fear for the future of our relationship. As an Emotionally Focused Couples Therapist, I know that our need to feel securely attached to our intimate partner is real and also takes a lot of work. We have to understand the negative communication patterns that pop up when we don’t feel loved, or when we question our sense of belonging, in order to change them. However, these types of communication issues can be confusing and scary, especially when you are stuck right in the middle of them. 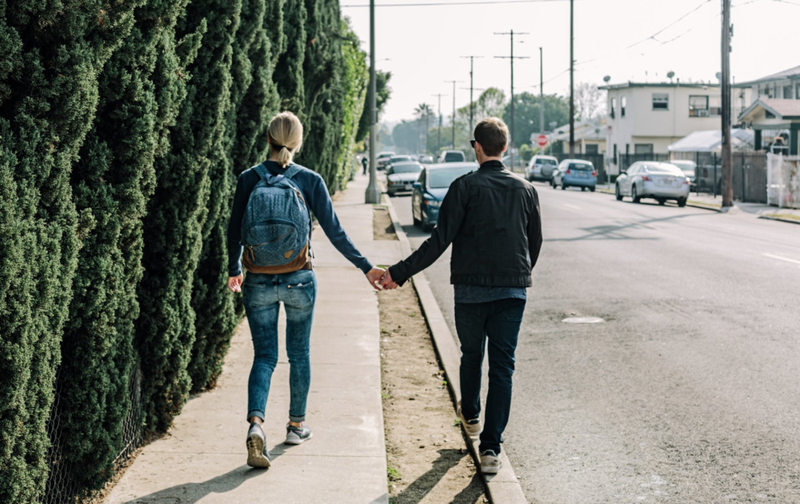 As a couples therapist who believes every undesired behavior stems from a natural longing for connection and love, it makes great sense that we respond to these painful feelings of disconnection in one of two ways. We either emotionally withdraw from our partner, hoping to work through the pain on our own until things get better, or we get ‘activated’ and emotionally pursue our partner for connection and conflict resolution. Those who withdraw may look (on the outside) as though they are disinterested or ‘shut down’. However, on the inside, a ‘withdrawer’ longs to have the right words to ‘fix’ the situation and often wonders if they will ever discover the ‘right way’ to be there for their partner. Withdrawers often believe ‘I’m not enough for you’, often amidst a painful internal battle of trying to prove thoughts and beliefs wrong. Pursuers look quite a bit different than withdrawers. When feeling disconnected from their partner, pursuers tend to appear activated, angry and eager to talk through conflict. They can seem confident in their understanding of emotions - both theirs and their partner’s - giving the impression they are in control of their own emotional experience. In actuality, a pursuer is often confused, concerned about their partner’s needs and fearful for the relationship. A pursuer might wonder ‘do I need too much from you?’ Or ‘am I too much for you?’. Untangling from this dance of emotions is really difficult when the music driving the dance lives within your heart. The fears, frustration and confusion are real and, at times, can feel impossible to overcome on your own. This is often when couples find us, looking for a ‘third person’ to help them make sense of the pain and disconnection, with the additional hope a therapist can help them save their relationship or help them feel closer and more in love with each other. If this is you, don’t delay. Reach out to us to schedule a complimentary phone consultation and learn how we can help you explore and understand your unique dance of emotions that have led you to feeling disconnected and concerned in your relationship. We will describe the research-based method of couples counseling we use - Emotionally Focused Couples Therapy - to create space for honest communication and the discovery of your wired-in attachment needs that inform your steps in the dance of emotional disconnection. Our job is to uncover and understand these negative patterns, and to help you heal and create a positive interactional pattern that leads to a secure connection and bond with the most important person in your life. Call us today.